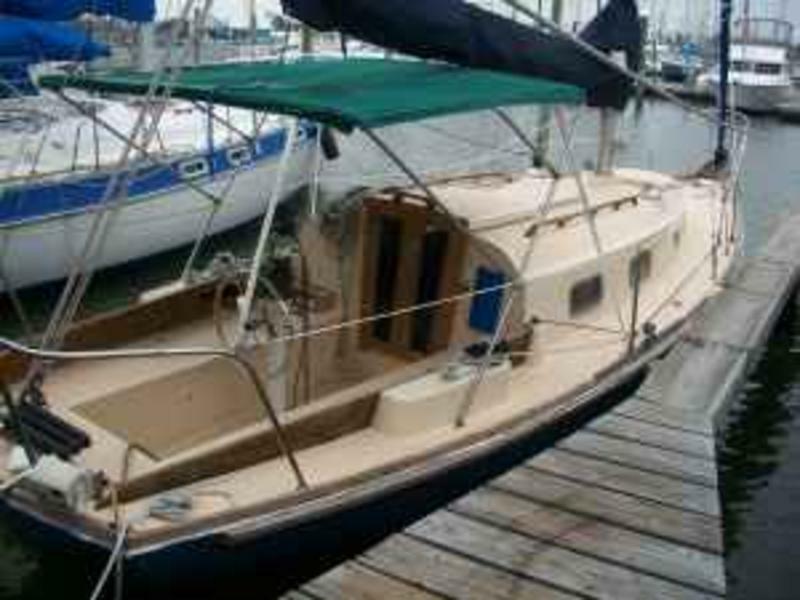 It is a fiberglass hull, full keel so its a very stabilized boat and tracks very well. Skeg Rudder, new main sail, new sail cover, (new blocks, tracks, cars, running and rigging), new battery charger, new LED interior lights. The J.H. Westerbeke BUKH diesel motor is in such good shape i would take this brand of motor over most new motors. The motor was manufactured in 1974 it is a 20 hp type dv20 3000 R.P.M……. The transmission is also in great shape it doesn’t jump or kick when you shift into forward or reverse. There is a very simple operating controls located in the cockpit. The cockpit has stainless steel wheel.Compass mounted in the column and a Garmin color chartplotter with fish finder. A nice Bimini cover plenty of seating for the whole family on the horse shoe shaped bench seats. and also a new jib was installed. 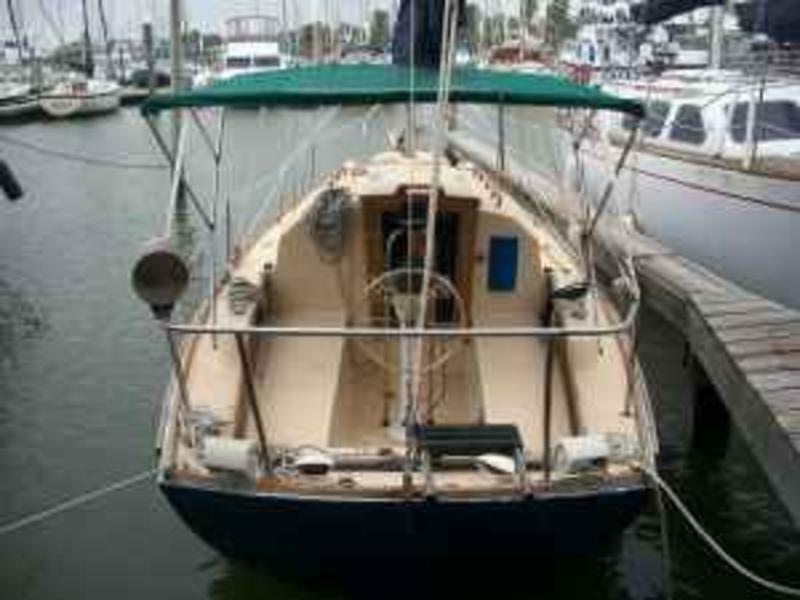 The sails are in good shape, the deck looks great no dent’s, scuff’s, or scratches. The wood trim and door could use a quick rub with some oil or varnish considering it has been sitting out in the sun. The cabin is looks great its fairly wide and quite spacey for a boat of this length. The bathroom also has a little more space then most boats this size. 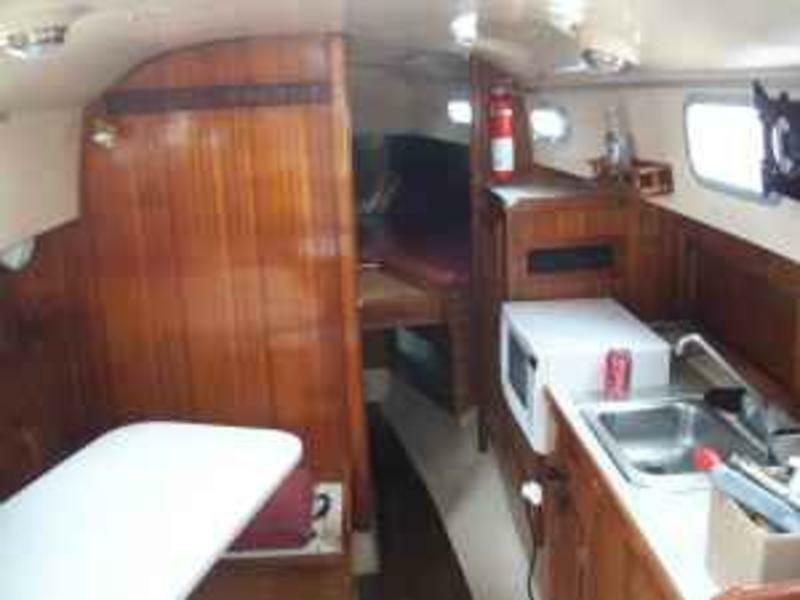 It has a refrigerator and microwave also plenty of room to and outlets to bring and electric stove on board and also a large sink to clean up with. The table swivels so there is no trouble getting in and out of the bench seats that wrap around the edge. 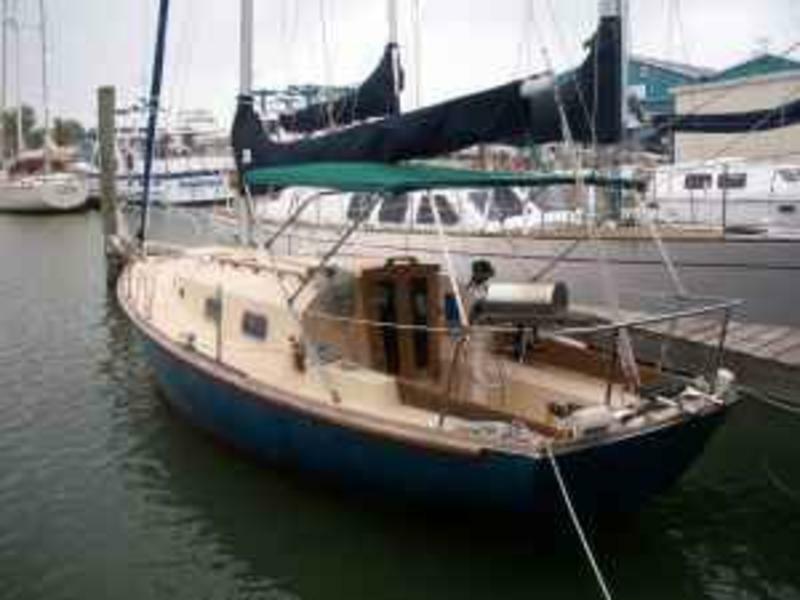 It has a CB radio, a stereo system throughout the cab and the cockpit, it has all the lights located on one board inside next to the radio, the bilge pump switch is located under the steps near the motor.